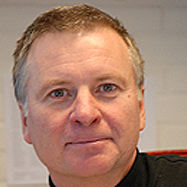 Thomas Abrahamsson is professor in Structural Dynamics at the division of Dynamics. His main interest is in integration of structural dynamics analysis and testing. That concerns system identification, model validation and calibration, and the influence of physical properties that can best be described as being stochastic. There might be more projects where Thomas Abrahamsson participates, but you have to be logged in as a Chalmers employee to see them.